Ms. Kim studied at the Sunhwa School of Arts with Prof. Kyung-Sun Lee and at the Yonsei University College of Music with Prof. Dong-Suk Kang in Korea. She earned a Diploma at the Cologne University of Music and Dance where she studied with Prof. Ariadne Daskalakis and also attended courses at the Orchesterzentrum NRW in Germany and studied with Prof. Dirk Verelst at the Conservatorium Maastricht in the Netherlands. Ms. Kim started her solo career at the age of sixteen when she appeared with the Russian Philharmonic orchestra performing the Mendelssohn violin concerto. Additionally she has performed among others with the Leeds Haydn Players, Banatul Timisoara Orchestra, Bratislava Chamber Orchestra, Vienna Festival Orchestra, Craiova Oltenia Philharmonic, Seoul Philharmonians and Seoul Arte Musica. After a performance with the Akademische Philharmonie Heidelberg in Germany, Ms. Kim has been invited to be a guest concertmaster for the "Ein Heldenleben" performance by R. Strauss. Ms. Kim is a prize winner at several competitions such as the Sunhwa Chamber Music Competition (Gold Medal), the Korean Music Competition (1st Prize), London Grand Prize International Virtuoso Competition (3rd Prize) and the American Protégé International Competition of Romantic Music (1st Prize). She has been a violin teacher at the St. George's International School in Germany and she currently holds a teaching position at the Suwon University College of Music in Korea as a Visiting Professor. Ms. Kim performed at the 2017 Schubert Marathon recitals series, and in 2018 at the Chopin and Romantic Music of Polish Composers recital series. In 2019, Ms. Kim will have numerous recitals throughout Germany as part of the Clara Schumann Marathon series. In addition, she will be performing the complete Beethoven violin sonatas. Hye Woon Cho graduated from Busan Arts High, completed Pre-School of the Korea National University of Arts, and graduated with distinction from the Korean National University of Arts. She then went to the United States and completed her master's degree at Mannes College, and studied for her D.M.A degree at Boston University. She has appeared on Italian radio with Italian Radio Sinfonia and made her New York debut at Carnegie Hall by winning the Special Presentation Winner audition. The Clara Piano Quartet, of whom she is the leader, won the first prize at the Boston International Chamber Music Competition and made their chamber music debut at Carnegie Hall. She performed at the 20th Century Chamber Music Festival (New School Univ. 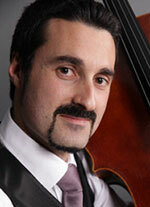 ), Brahms Festival chamber music (Boston Univ. ), served as guest principal of the New Jersey Philharmonic, and actively performed in New York and Boston. 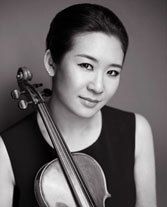 Upon returning to Korea in 2009, she served as principal of Changwon Philharmonic Orchestra until 2012, and has continued to actively perform in orchestras and ensembles as principal of Joy of Strings, concertmaster of Busan Kamer Symphony, guest concertmaster of Gwangmyeong Symphony Orchestra, guest principal of Busan World Symphony as well as Busan Symphony Orchestra. She has held recitals in Seoul and Busan, and performed in the Young Artists Concert hosted by the Music Association of Busan, concert commemorating the 120th anniversary of Korea-France relations hosted by the Embassy of France, IBK Hall Opening Festival at Seoul Arts Center, Chamberhall Opening Festival at Busan Cultural Center, and has performed with various orchestras including Kimhae Youth Orchestra, Bada Orchestra, Busan Kamer Symphony, Praha Chamber Orchestra, and Busan Chamber Music Society. She has also been invited as professor at Fall Foliage Chamber Music Program (2008, U.S.), International Children's Arts and Culture Festival (2011, Malaysia), International Academy of Arts, Cremona (2012 & 2014, Italy), Pyeongchang Special Music Festival (2013), Master Class, Malaga (2016, Spain), Jirisan International Music Festival (2017), International Academy of Arts Summer Festival in Saas-Fee (2017, Switzerland), Alps Music Festival (2018, France), where she has been further widening her musical spectrum through performances and masterclasses. Hye Woon Cho continues to pursue her musical passion as current principal of Joy of Strings, and is nurturing future musicians in Busan National University, Kyungsung University, Korean National Institute of the Gifted in Arts, Busan National Institute of the Gifted in Arts, Busan High School of Arts, and Busan Middle School of Arts. Leticia Moreno, born in 1985 in Madrid, is a Spanish violinist. She started her music education at the early age of 3 in both violin and piano with the Suzuki Method offering her first recitals when she was just 5. From 1996, she studied six years with Zakhar Bron at the Escuela Superior de Música Reina Sofía and in Germany at the Köln Musikhochschule. Later on she followed the advice of Maxim Vengerov in Saarbrücken and David Takeno at the Guildhall School of Music and Drama where she received the highest degree ever in the history of the school for her final recital. Her last teacher was Rostropovich in 2003. As of 2005 Leticia Moreno is playing a 1679 Pietro Guarneri violin, which was the property of the Stradivari Society of Chicago. She has programmed concerts all around the world in Austria, England, St. Petersburg, Moscow, Italy, Poland, South America, Mexico and Spain, and played with orchestras including the Chicago Symphony Orchestra and the Vienna Symphony Orchestra. The Spanish Composer Francisco Lara has dedicated a composition to her: Capriccio for Leticia (2005). Olsi Leka was born in Tirana (Albania) in 1980. He started studying the cello at the age of 6. During his studies, he twice obtained the first prize at the "Young Virtuosi" competition (junior and senior categories), the first prize at the "Lyons Club Interpretation Competition" in Belgium and the second prize at the "International Music Competition" in Cyprus. Aged 24, during his last year at the conservatory, he was appointed Cello Solo – First Cellist at the National Orchestra of Belgium. This allowed him to work with a multitude of conductors and soloists of international renown. Since then, he performed at chamber music events and festivals such as "Schiermonnikoog Festival" in Netherlands, the "Different trains Festival" in Albania, the "Gjövig Musicfest" in Norway and the "Excellent Concerts" in the Netherlands, and performed in recitals with the pianists Daniel Blumenthal, Alexandar Madzar, François-René Duchable, Adam Laloum, Liebrecht Vanbeckevoort, Desar Sulejmani and Peter Caelen. The interpretation of the concerto "Tout un monde lointain..." by the French composer Henri Dutilleux was another career highlight. After preparation of the work with the composer, it was played and recorded live in Brussels in his presence. The composer said it was one of the best interpretations he had ever heard. In 2007 he was appointed cello professor at the Royal Conservatory of Antwerp, and in 2015 at the Royal Conservatory of Brussels. He is regularly invited for cello master classes around the world and plays an exceptional cello of the famous violin maker Raffaele Gagliano, generously made available to him by the Eric Feldbusch Foundation. Yu-Fen Chang obtained her "diplôme supérieur" at the Brussels Royal Conservatory. She attended masterclasses and studied with Vitaly Margulis, Louiz de Moura Castro, Dimitri Bashkirov, John Perry, Pierre Réach and Elisso Virsaladze. Besides being a pianist, she always had a great interest in literature. She also worked as a freelance writer for magazines and as a journalist for newspapers about cultural life and social events. 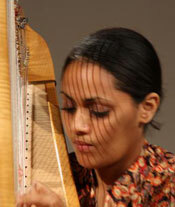 These experiences have played an important role in enriching her musical understanding and interpretation. Yu-Fen likes to perform so called mixed programs: "I like to give the audience the feeling they have taken an emotional sauna. I try to do that by combining the standard romantic 19th century repertory with either Scarlatti or Bach and on the other hand composers like Lepo Sumera, Tan Dun, Silvestrov, Janacek, Ginastera, Villa Lobos and Schnittke." She performs all over Europe, China and Russia, and made her acting debut when she played the role of a pianist in the movie "Komma" (directed by Martine Doyen) together with the Belgian singer/actor Arno. She has performed piano concertos with numerous international orchestras. Besides Rimsky-Korsakov, Rachmaninov, Mozart and Gershwin, she especially performed the piano concertos of Galina Ustvolskaya and Valentin Silvestrov (Epitaph) with Andres Mustonen and Dmitri Liss. Since 2011, she is invited to give recitals in South-America. In 2016, she was extremely honored to give a masterclass at the Korean National University of Arts with "the cradle of international music competition winners". 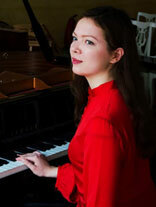 Ksenia Ovodova was born in 1990 in Krasnoyarsk to a family of famous Siberian pianists. She started her piano training at the age of 4 with her grandmother Ovodova L.E. At the age of 7, she entered the Music Lyceum of Krasnoyarsk in the class of her father Ovodov S.A. and performed with the Krasnoyarsk Academic Symphony Orchestra. In spite of her young age, Ksenia had a great success throughout Siberia. Ksenia is a laureate of many competitions: the Open regional competition "Hope-98" in Krasnoyarsk (1998), the Fourth Open Competition for Young Siberian Pianists in Novosibirsk (1999), the Third International Competition for Young Pianists in Morioka, Japan (2000), the International Competition "Hope 2001" and "Hope 2004" in Krasnoyarsk (2001, 2004) and The Tenth International Skryabin Piano Competition in Paris (2010). She is also a laureate of the Krasnoyarsk's Head Prize. In 2003 and 2004, Ksenia was an active participant of the International Music Festival "Seasons" (Moscow and Saint Petersburg). In 2005, she continued her studies at the Academic Music College in the class of Vera Khoroshina, from which she graduated with distinction in 2009, and enrolled at the Moscow State Tchaikovsky Conservatory. In 2012 and 2013, she was a jury member of the "Young Virtuoso" Competition in Moscow. In 2012, she entered the University Mozarteum in Salzburg (Austria) in the classes of prof. Florian Birsak (harpsichord) and prof. Wolfgang Brunner (fortepiano). At the same time, she studied at the Moscow State Tchaikovsky Conservatory under Sergey Kasprov (piano), Olga Filippova and Maria Uspenskaya (harpsichord), Alexey Shevchenko and Alexey Lubimov (fortepiano). In 2014, she graduated with distinction and got the certificate "Best graduate of the Year". In 2013, she received an honorable mention as a fortepianist at the International Competition "Musica Antiqua" (Bruges, Belgium). In 2015, Ksenia graduated from "La Schola Cantorum" (Paris, France) in the class of prof. Igor Lazko. In 2016, she continued her studies at The Royal Conservatoire of Brussels, class of prof. Daniel Blumenthal, and in 2017 at The Royal Conservatoire of Mons with prof. Yuka Izutsu. Ksenia took part in international masterclasses given by Malcolm Bilson, Bart van Oort (fortepiano) and Hugo Reyne (chamber music). Ksenia collaborated with such outstanding musicians as Reinhard Goebel, Dorothee Oberlinger, Henry Raudales, Gábor Tarkövy, Marc Geujon, Dirk Brossé and Enrique Mazzola. Graduated in violon and harp, Nabila Chajai followed her studies at the Conservatoire National Superieur de Musique de Paris, in the class of Isabelle Moretti, and a master at the CNSM of Lyon with Fabrice Pierre. 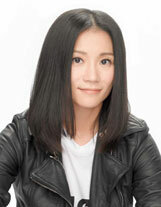 In 2004, she won the 2nd prize at the prestigious international ARD competition of Munich. Parallel with her soloist and chamber music activities, she collaborates with the most important european orchestras and works with the most important conductors. She was principal collaborator as solo harpist with the Gran Teatro La Fenice from 2011 to 2018, member of the Mozart orchestra with Claudio Abbado, and she's on trial with the Birmingham Symphonic Orchestra. She was also invited several times for masterclass throughout Europe. Born in Braga (Portugal) in 1990, Francisco Barbosa began his musical studies with José Matos. In 2000, he joined the Conservatory of Braga, in João Marinho's and Adriano Sabença's flute class. In 2005, he continued his studies at the Guimarães Academy of Music, in Gil Magalhães' class. He attended masterclasses with Mark Fregnani-Martins, Nuno Inácio, Ana Maria Ribeiro, Reza Najfar, William Bennett and Mauricio Freire, among others. Francisco collaborated with the National Orchestra of the "Templários", the Orchestra XXI, the Santa Cecilia Orchestra of Madrid, the Orchestra of the District of Braga, the Portuguese Chamber Orchestra and the Lisbon Metropolitan Orchestra. Between 2008 and 2010, he studied in Vienna with Wolfgang Schulz, Reza Najfar and Hansgeorg Schmeiser. During this period, he also worked with Clare Southworth and Katherine Bryant, and attended Emmanuel Pahud's workshop in the Wiener Konzerthaus. In 2010, he attended the "Julius Baker Master Classes", where he worked with Sandra Church, Tadeu Coelho and Brad Garner, among others. In 2012 he founded the trio "Sirius Trivium" with which he won the internal competition of chamber music of the Higher Metropolitan Orchestra Academy. He played in various concert rooms and was invited to play at the "Piantón Music Festival" in Spain. In July 2013, Francisco obtained with distinction the Bachelor degree at the National Superior Academy of Orchestra, in Professor Nuno Inácio's class. In September 2014, he enrolled as student in "Escuela Superior de Música Reina Sofia" in Madrid, with Professor Jacques Zoon. In 2015, he played a Solo Concert tour with the Reina Sofia Camerata, conducted by Hansjorg Schellenberger. Since 2015, he has been a member of the "Klaue" woodwind quintet. Francisco was also invited to play at the "Santander Music Festival 2016" with soloists Matthias Racz and Pascal Moragues, and composer and conductor Krzysztof Penderecki. Zhao Yu, pianist and associate professor, began to practice the piano in Shanghai since childhood, studied at the Shanghai Conservatory of Music College, and graduated with a master's degree in piano. From 2008 to 2010, he taught at the Xinghai Music Academy. He is currently teaching at the Piano Department of the Conservatory of Music of Guangxi Academy of Fine Arts. He teaches piano undergraduate and postgraduate piano performances, postgraduate courses in Western piano art and piano practice. He has received many guidances from international piano masters including Fu Cong, Chen Hongkuan, Chen Bixian, Blakinsky, Boris Berman, Bashkirov and Paul Badulla-Skoda. His performance "exquisite skills, music is really moving", praised by experts. 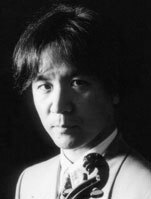 He has participated in many domestic and international piano competitions and won awards, including the 2006 China National Youth Piano Competition, the American E International Piano Competition, the American Hilton Hyde International Piano Competition, the Brazilian Villa Robles International Piano Competition, and the Chinese Music Golden Bell Award, the Golden Bell Piano Competition and so on. As a performer, he participated in the Rachmaninov Trio Master Class in April 2007 and held a concert at the Shanghai Concert Hall. In June 2007, he participated in the chamber music master class organized by the Berger Quartet and the founder of the European Chamber Music Institute, and was praised as "the most talented trio in Asia". For many years, musicians who have collaborated and held concerts include the violinist Zuckerman, Godferhof, the flute player Dr. Watson and many more. Only subscribers of our master classes can participate in the International Young Talent Music Competition. The application fee is 100€ (non-refundable). The candidates are rated individually, not by instrument. The competition will take place in the concert hall of the MA'GO Music Academy on Sunday, July 28 at 10am. The concert by the winners of the competition is scheduled for Monday, July 29 at 7pm and will take place in the concert hall of Opus 4. 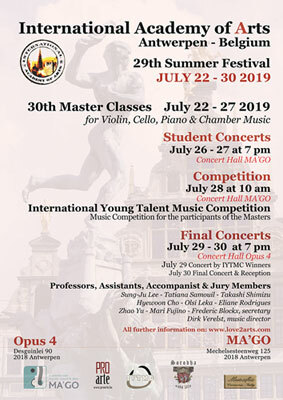 To subscribe to the International Young Talent Music Competition, please complete the application form of the master classes. The application fees as well as the application form need to arrive before July 15, 2019 (bank details below), otherwise the subscription is considered invalid. Please mention "Summer Festival 2019" as well as your name in the message field of your money transfer to avoid problems.